One of my friends living in Kobe told me for the longest time about a ramen shop she swore by. I don't make it to Kobe as often as I should, and she was pretty insistent, so I hopped on a train. 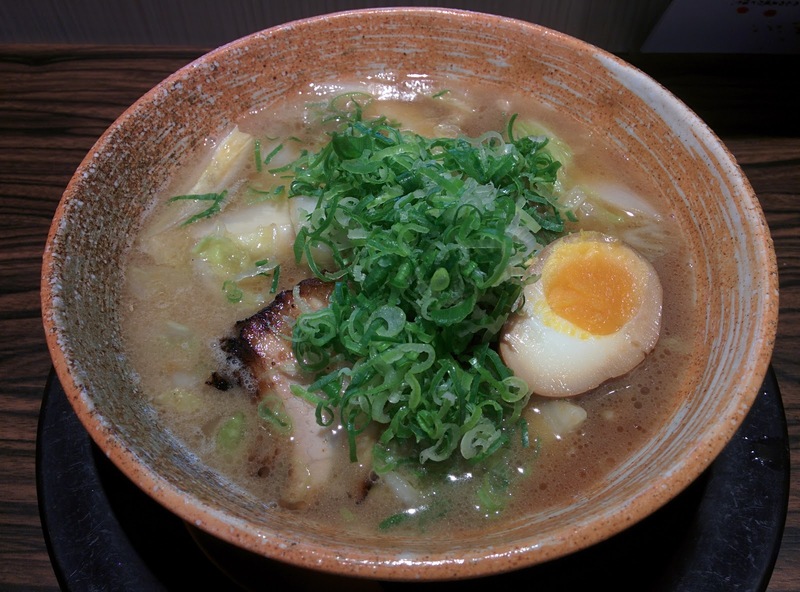 Sangen is one of the four restaurants in the hidden Men Road, a plaza of four ramen shops in the Kobe Marui department store. I would like to visit all of them if I have time, but this time I stopped just at Sangen for the dashi shoyu. Sangen's ramen was simple, but unique. The shoyu broth was thin and oily, but instead of being heavy on fat or garlic, it was filled with the flavors of the vegetables in it. Primarily it tasted like charred onions mixed with soy sauce, like a simple stir fry. Instead of the rice you get with stir fry, there were lo mein-like noodles, yellow and carrying the green onions taste. It was solid but I would like to try the shops surrounding it. Also it has closed since I've been there.